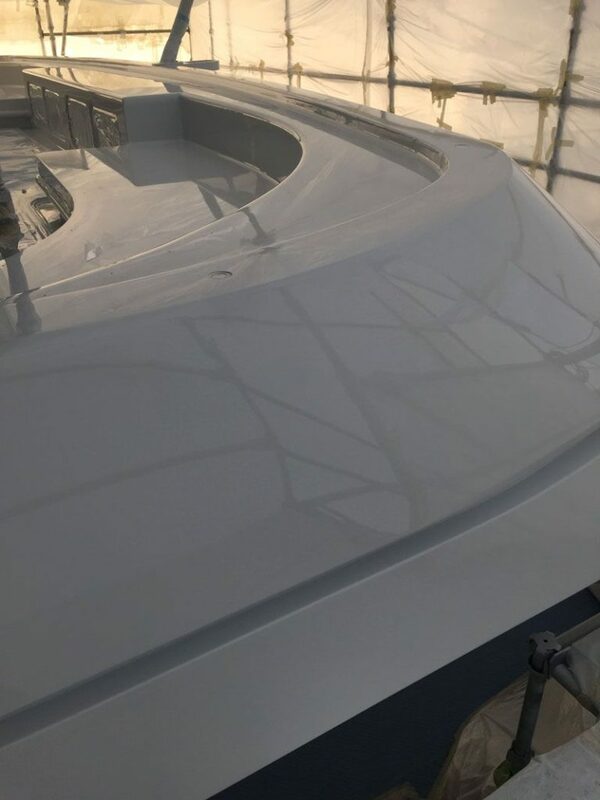 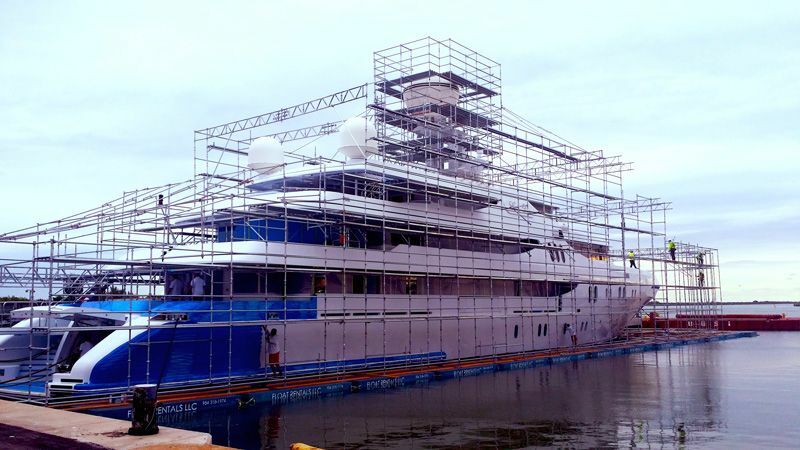 Custom membrane enclosures erected in-the-water or on the hard provide a safe, clean, environmentally secure structure for painting of hull, superstructure, mast or any combination or part thereof. 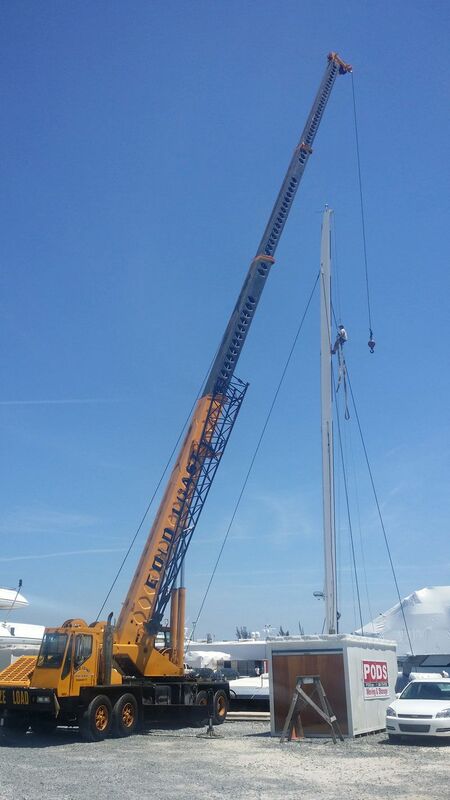 Our specialties include removing rigs and painting masts and booms for large sailboats. 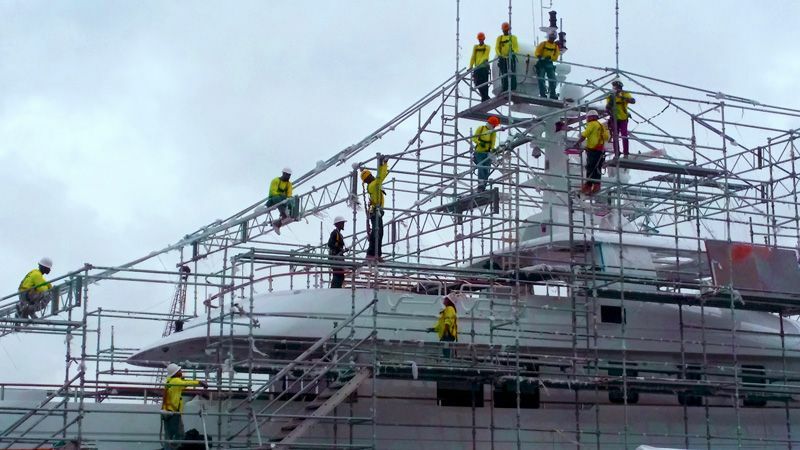 Our Fort Pierce facility has expansive areas making it possible to paint, store or step masts. 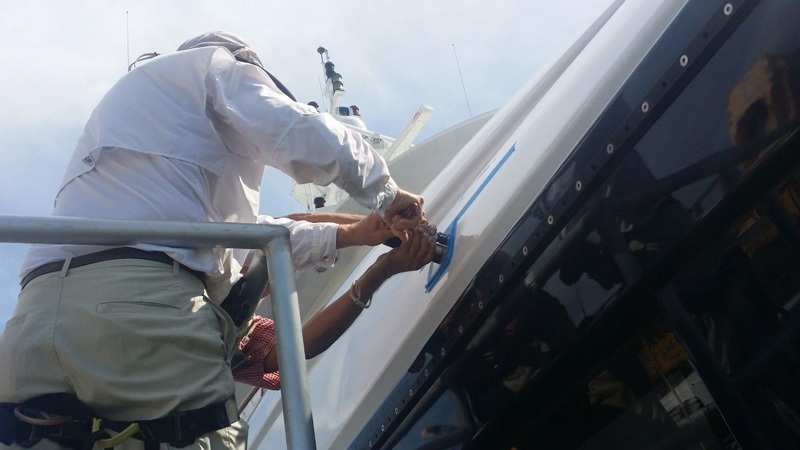 Topcoat refinishing, spot repair & maintenance, sand-blasting, and anti-fouling. 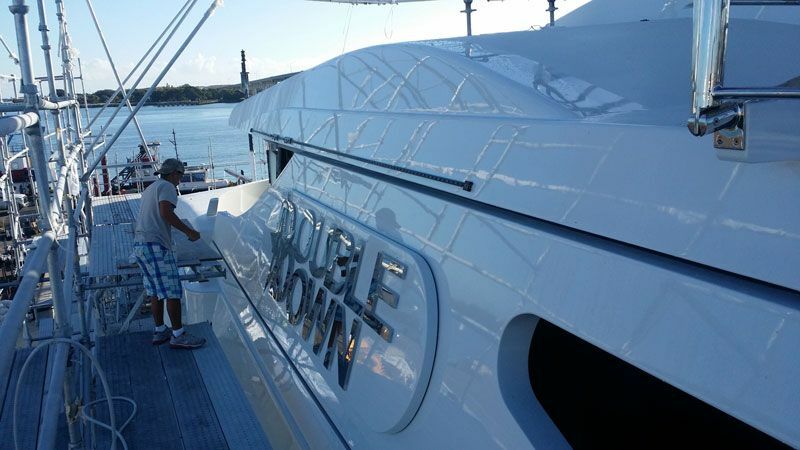 We have expertise with full engine room customization's and detailing. Leveling and flow coating decks and tanks. 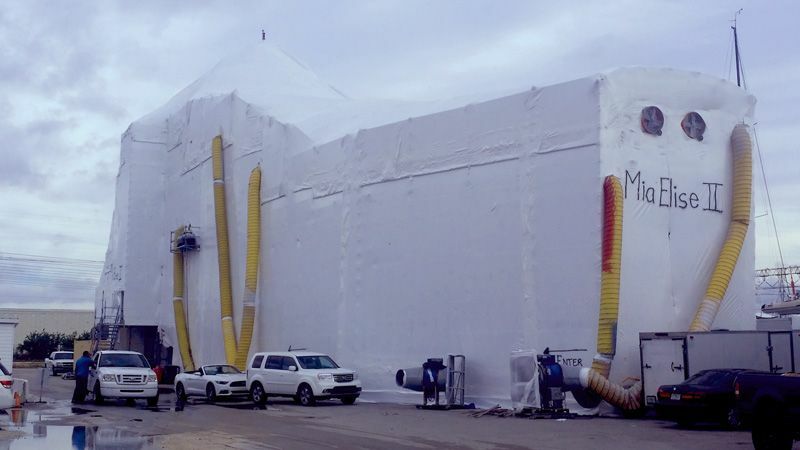 Flexible to use your preferred paint manufacturer products to ensure the highest quality paint finishes. 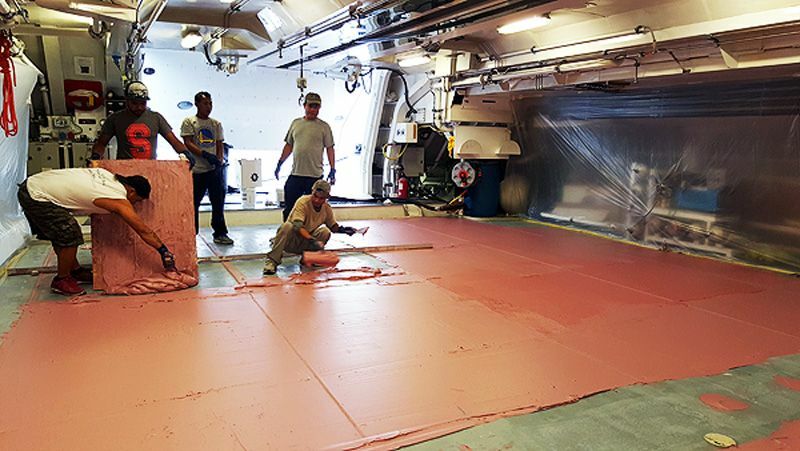 Climate controlled paint booths for small parts. 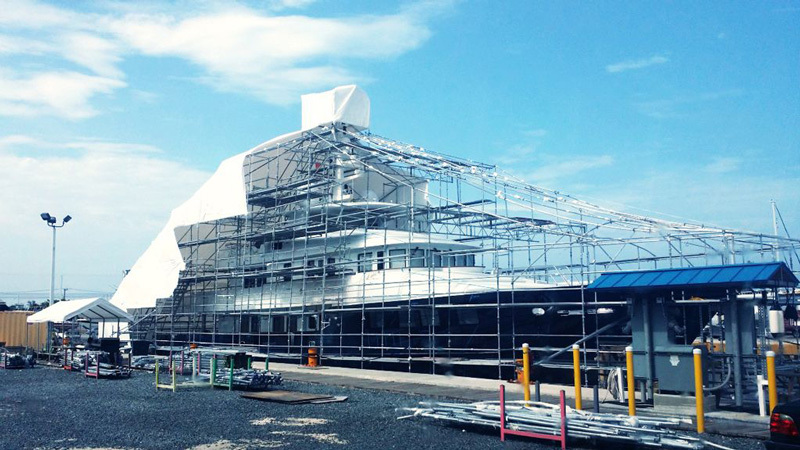 Foil wrap on hull and/or superstructure available.